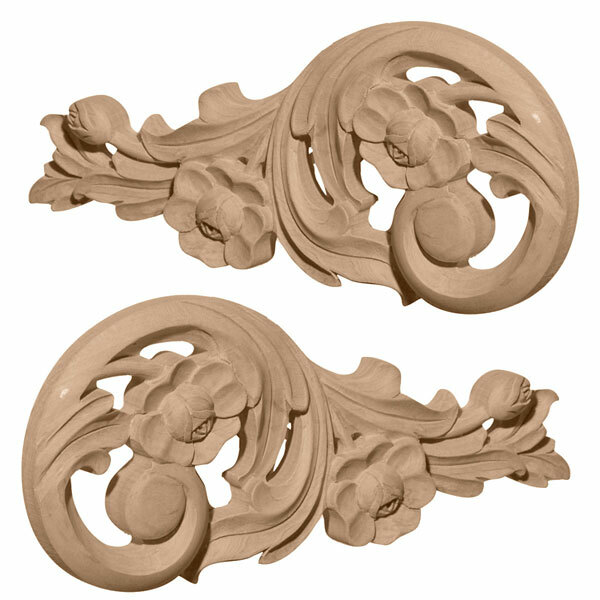 Our appliques and onlays are the perfect accent pieces to cabinetry, furniture, fireplace mantels, ceilings, and more. Each pattern is carefully crafted after traditional and historical designs. Each piece is carefully carved and then sanded ready for your paint or stain. They can install simply with traditional wood glues and finishing nails.